Last night was good. Varen was home before I went out. Although I had a minor freak out that we'd have to take Rex to the vet again last night (which we didn't end up doing). Poor boy, his eye seems to have regressed after stopping the anti-biotic drops. Will try not to freak out and take him as planned on Friday evening instead. And then I headed off to Zenatude for my poker buddy's book launch :) Wow, it was quite a fabulous affair (although the snacks were in too short supply :( ). I bought myself a book (will get it signed at poker next week) and wandered the variety of rooms on display filled by Daring Dreamers, including a pole-dancing show. 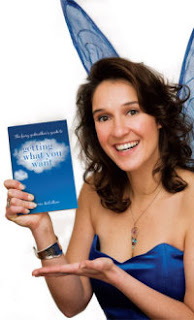 I will say that I was thrilled by my first book launch experience and am now quite inspired to do one of The Fairy Godmother's Possibility Evenings and a Goal Setting Workshop. I think that's what I need in my life right now ... I need to figure out what I want out of life and start working to actually make it happen and hopefully along the way I won't find the mundane days in-between so soul-destroying. Okay, they're not so bad, but there's only so many hours of a day that I can be buouyed by time with my bunnies and the sunshine in my garden ... it's surviving the dark and staying positive and focused that I need to get figured out. hope your bunny boy gets better!!!! !